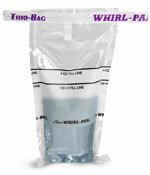 Packaged in heavy-wall polyethylene sleeves in packs of 10. 50 sleeves per case. Commonly referred to as 100 mm x 15 mm petri dishes, these sterile clear polystyrene square petri dishes are ideal for phage typing, susceptibility testing, plate counts, and probe assays. (Actual width and length are 90 mm). Each 13mm grid is marked numerically in one direction and alphabetically in the other. 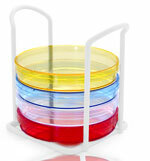 This dish has four venting ribs into the underside of the lid to prevent condensation build-up. 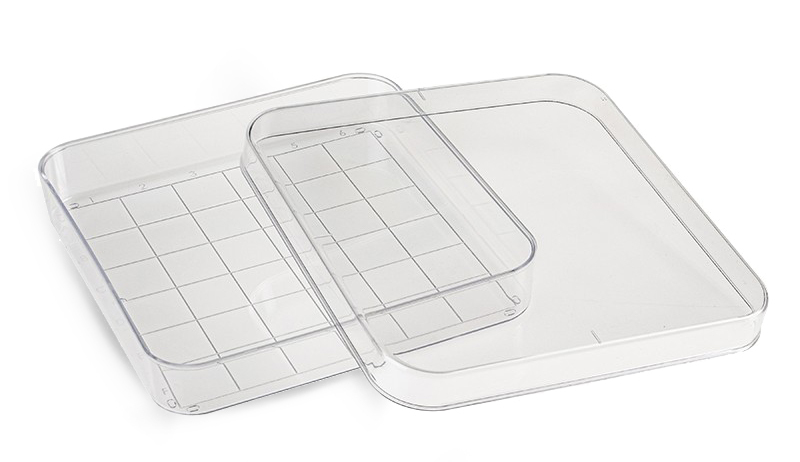 Dishes are packaged in heavy-wall polyethylene sleeves. Each case contains 50 sleeves.